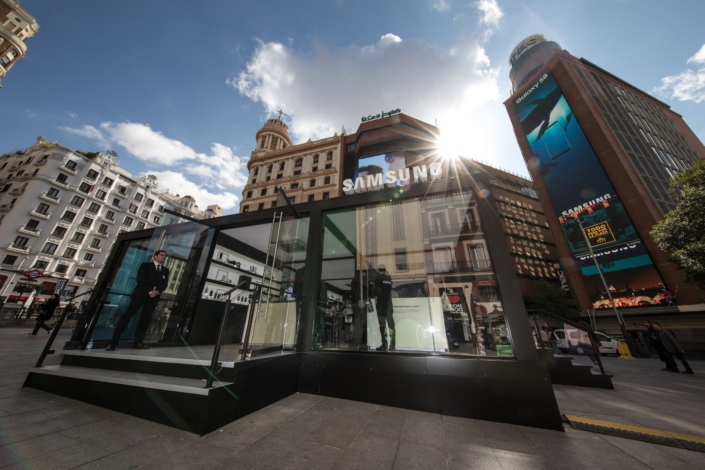 Samsung has found a new medium to spread its vision of connectivity across the globe. It’s setting up Galaxy Studios in some of the most iconic places around the world. 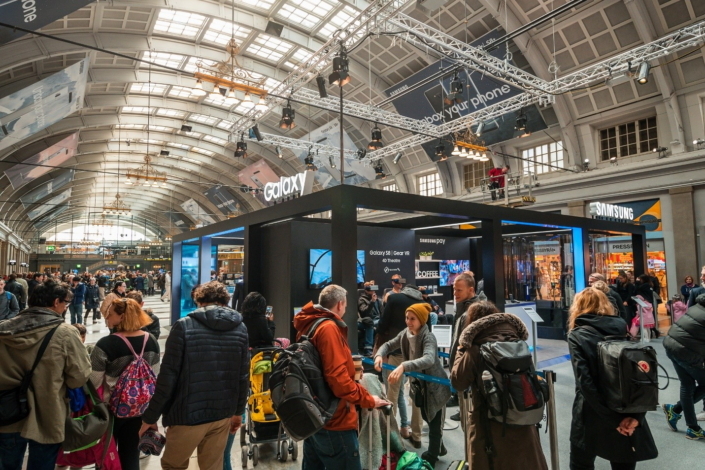 These Galaxy Studios “transport visitors to a one-stop experience of mobile connectivity,” according to the company. 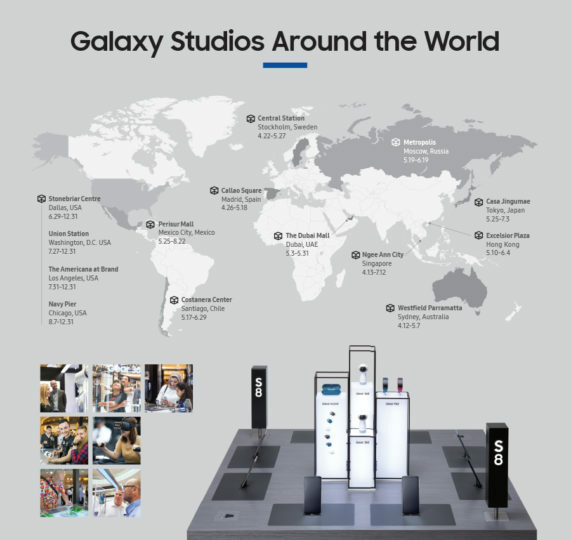 Visitors at the Galaxy Studios can try out the company’s latest devices like the Galaxy S8 and Galaxy S8+, Gear VR with Controller and the Gear 360. 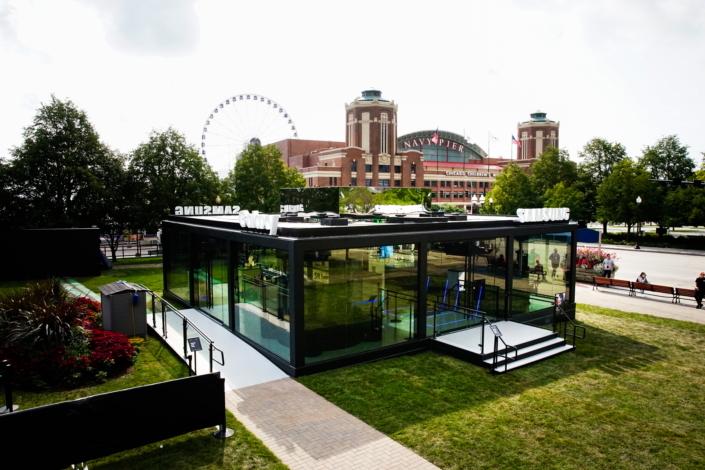 They can try out those products and get a good sense of how far Samsung’s products have come in just a few years. 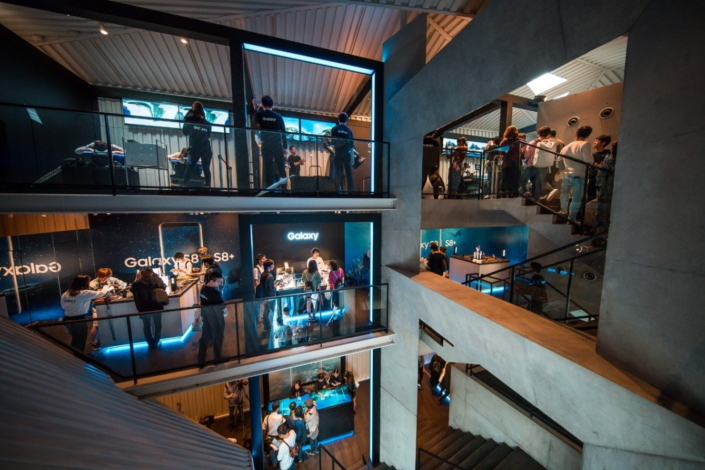 Samsung has already set up Galaxy Studios in iconic locations like the Dubai Mall, Westfield Parramatta in Sydney and the Navy Pier in Chicago. The company continues to expand them to more locations across the globe. Since the Galaxy S8 is Samsung’s flagship smartphone right now, experiences surrounding the handset are among the highlights at the Galaxy Studios. 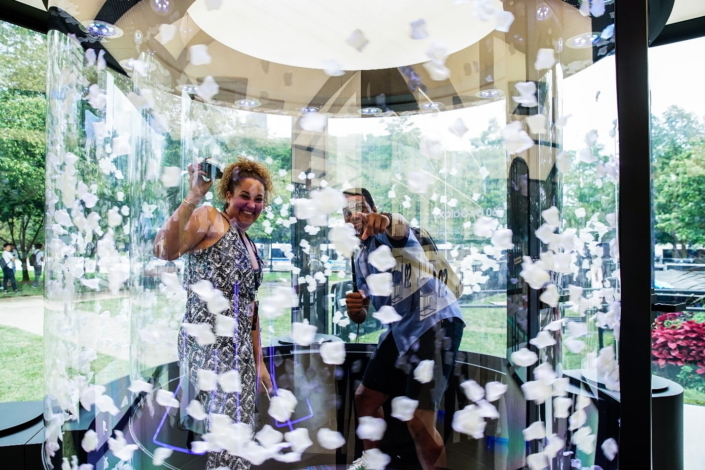 Visitors have particularly enjoyed the Liquid Canvas experience in which their selfie is recreated underwater in ink, oil or liquid dye as the Galaxy S8 moves over a Liquid Canvas. This experience is meant to highlight the IP68 water and dust resistant functionality of the Galaxy S8. 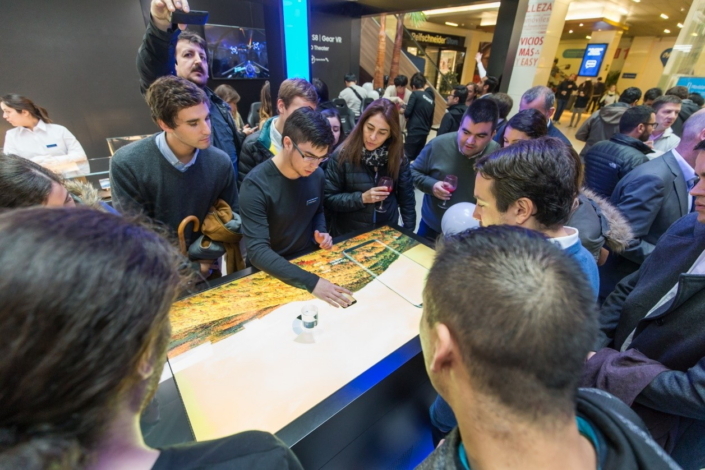 They can also explore some of the other features of the Galaxy S8 by placing it on an interactive smart table. The table connects to the smartphone via Wi-Fi and acts as a second screen. This provides visitors with an immersive view of the Infinity Display and an in-depth look at Bixby. Samsung’s 360-degree experiences powered by its Gear 360 camera and Gear VR headset are highlighted as well. There are fitness stations at the Galaxy Studios where the Gear S3 smartwatch is demonstrated. 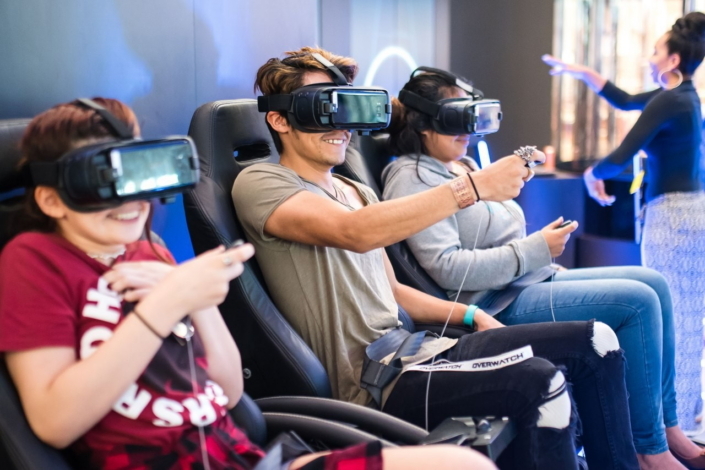 Samsung Galaxy Studios have welcomed nearly 860,000 visitors so far and they will welcome many more in the months to come.